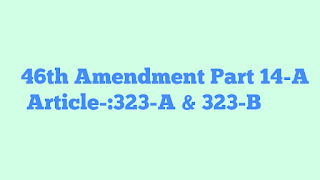 It empowers to Parliament to provide for establishment of administrative tribunals for adjudication of disputes relating to recruitment & condition of services of centres, States, local bodies, corporations etc. Eg. आपने SSC, UPSC, SPSC की exam crack की उन condition के तहत आप exam crack करते हो, अगर उन परिक्षाओं से संबंधित कोई तकरार है तो आप ऐसे Tribunals के पास जाओगे जो set किए गए है under article 323-A. eg. IAS, IPS or centraC Services, Civilian employee under defence department. 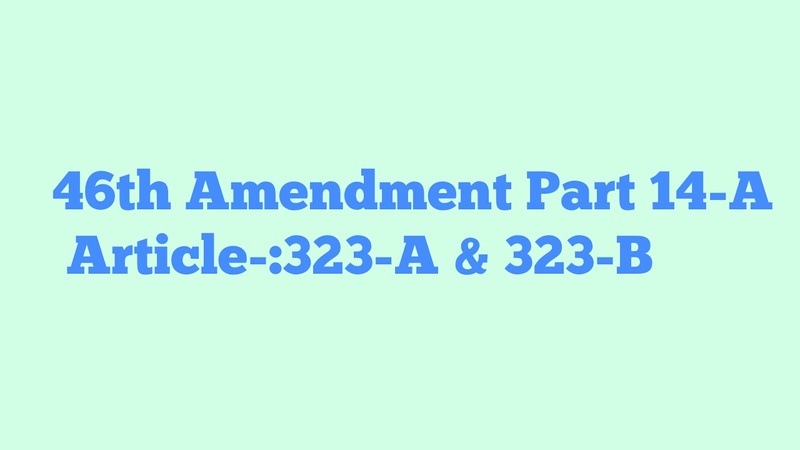 Article 323-B के तहत जो Tribunals बिठाए जाते है वे state assembly भी law पास करके कर सकते है & also parliament can do it. 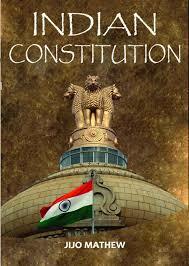 So, we hope that you understood about 46th amendment of Indian Constitution in detail and in simple language.